It's no secret that we all love drooling over celebs' gorgeous red carpet looks. But actually emulating the ensembles in our everyday lives? Well, that's always seemed a bit of a stretch. Until now, thanks to London-based label Self-Portrait. The celeb-favourite line (Lucy Hale and Reese Witherspoon are fans) features beautiful, insanely high-end-looking dresses and separates that look like they could easily cost upward of five digits but actually ring in between $300 and $500. 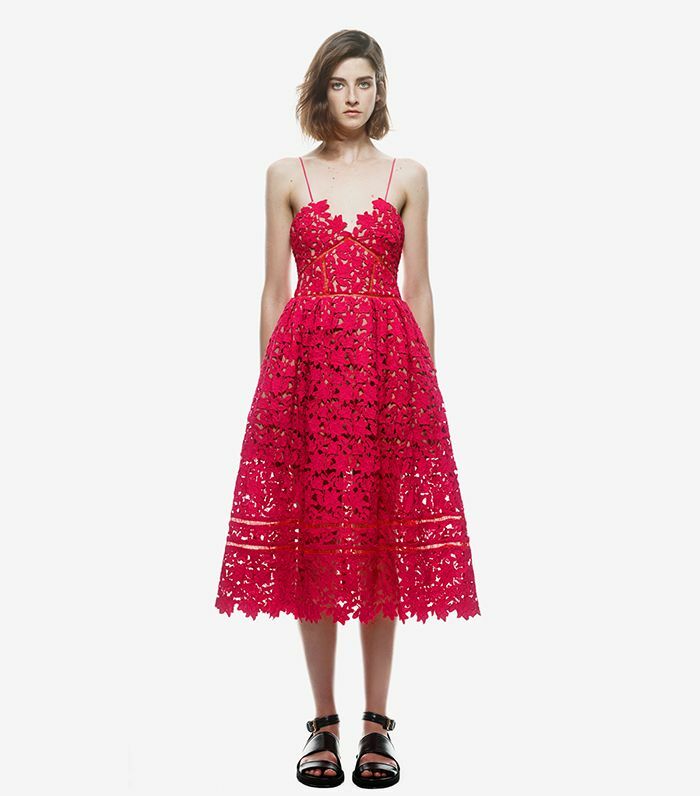 While this range is definitely still steep for some, know that these are dresses you'd be able to wear season after season for every event in your iCal. Think about that cost-per-wear ratio. Intrigued? Our friends at Fashionista dove deeper into the brand, interviewing its designer, Han Chong, about Self-Portrait, his inspiration, and hopes for the line. Click here to read the full interview and scroll below to shop some of our favourite pieces. What do you think of this line? Would you shop it for your next fancy event? Let us know in the comment section below!